Virginia's Attorney General says two new laws in the state will not need the federal government's OK now that the U.S. Supreme Court has struck down part of the Voting Rights Act. The Voting Rights Act, passed in 1965, required nine mostly Southern states to get clearance from the Justice Department before making changes in state voting laws or district lines. But the Supreme Court's 5-4 ruling means the two laws that had been signed into law by Va. Gov. Bob McDonnell earlier this year -- including one which will require voters to have a photo ID at the polls -- do not need federal clearance, said a spokesman for Ken Cuccinelli, Virginia's attorney general. The spokesman said the Court's decision is effective immediately. The laws are set to go into effect July 14. But the voter ID law will not be implemented at the polls until 2014, and so will not change poll procedures during this fall's state elections. Earlier Tuesday, Virginia Gov. Bob McDonnell said that Congress may weigh in with new clearance criteria for the nine Voting Rights states. But in the meantime, the new laws were in limbo. 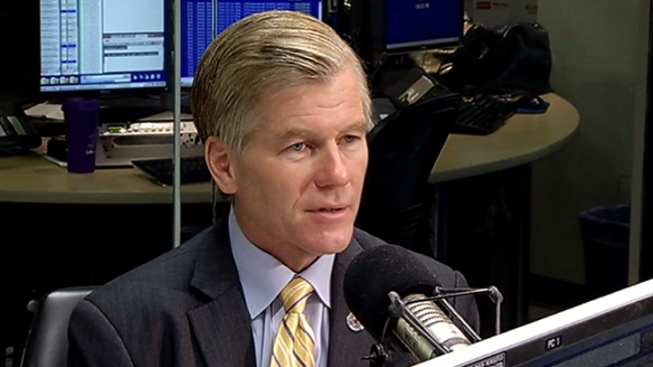 “I don’t think we can send them to the Justice Department because we don’t have a law by which to judge if Virginia should be precleared,” McDonnell told NBC4’s Mark Segraves outside the WTOP studios, where McDonnell had appeared on a radio show.